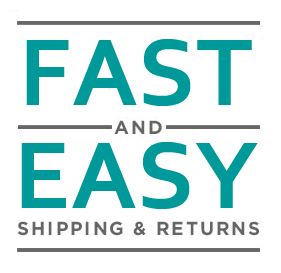 Our customers get FAST shipping on every order with no order minimums! We are also proud of our EASY return process with an inmediate refund of your money. Receive your money back within 48 hrs. In order to receive your refund within 48 hrs, you must contact us directly. Please do not open a PayPal case without attempting the return process with us first. Returned orders WILL NOT be processed without a valid RMA number. We pay return shipping cost only if we sent you the wrong item. We will issue you a Return Authorization Number (RMA Number) via email and walk you through the return process. Within 3 months of your order date: We will refund you in full via the payment method you used to place the order. After 3 months (and up to the end of the warranty period): We will refund you in full via SilverShopTvParts credit, which can be used toward future purchases in our website with no expiration. - If you received a defective item please contact us within 10 days via email (sales@silvershoptvparts.com). We will submitt RMA number for you to return item. Our technician will diagnose the returned circuit board. If problem is found we will provide a full refund, otherwise we will charge a 20% restocking fee and initial shipping cost you paid will not be refunded. - You may return most new, not needed, unopened items within 10 days of delivery. Please contact us via email (sales@silvershoptvparts.com) before returning your purchase to receive a Return Authorization Number (RMA Number). We will process refund once we receive, inspect and identify our item. Also you will be charged a 20% restocking fee for any new/unused/unopened item and the initial shipping cost you paid will not be refunded. If the item we received is damaged/destroyed, we will send it back to you again at your own expenses. Return address will be provided with RMA number. We can ship to any address in the United States and Puerto Rico only. If you place an order before 3:00 pm CST (Monday - Friday), your order will ship same day. All purchases made after 3:00 pm CST will ship next business day. At this time we are shipping via USPS only (Ship per weight). Delivery date will be up to carrier. Tracking number will be attached to your SilverShopTvParts account same day of purchase or will be sent out to you via e-mail when available. Please check all doors and around your property. If you still can't find the package 24 hours after the delivery confirmation, please contact us. We will initiate a "Lost Package Claim" with the carrier. If you need a replacement order shipped immediately (claims take up to 10 business days), we will charge you for that replacement order and -- if the carrier did lose original order -- we will refund you in full for the original order. Otherwise, once the claim is resolved and if the carrier lost the package, we will send you a replacement order at no cost (if available) or refund you in full. If the carrier's investigation leads to a delivery confirmation, please report the stolen property to your local police department.